in some cases I get different on the same query, comparing the results on Flexmonster and SQL Studio. The correct values are in SQL output. Attached to this message there are 2 files where we can compare the same records on both plataforms. 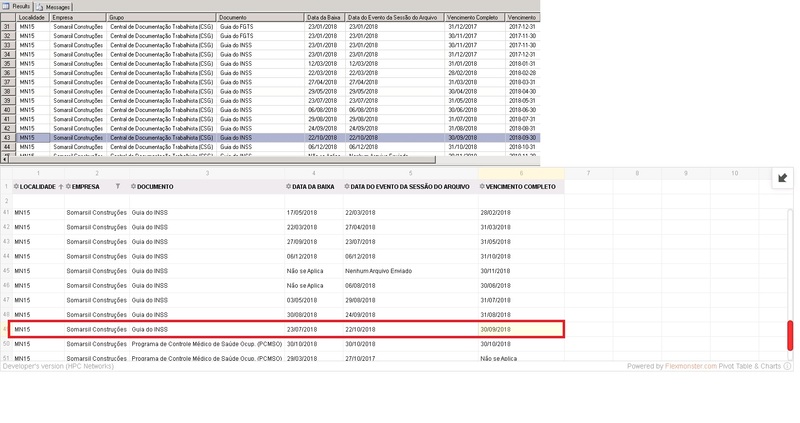 We have noticed that the value of Empresa field is different for the records you highlighted on the screenshots. It seems that these records are actually different. Please check and let us know if the issue is solved. OMG, sorry about the mistake! Now I send the correct images. Is it possible to send a data sample to our email? It would be really helpful for us. We would like to check whether you’re still experiencing this issue. If yes, sending a data sample to help@flexmonster.com would greatly help us.